George Barris put on a pretty good car show. This shot is from 2014, this week the shop in North Hollywood is having a sale. Pretty sure its going to be a full house. Check out past George Barris car shows here or click the paint. 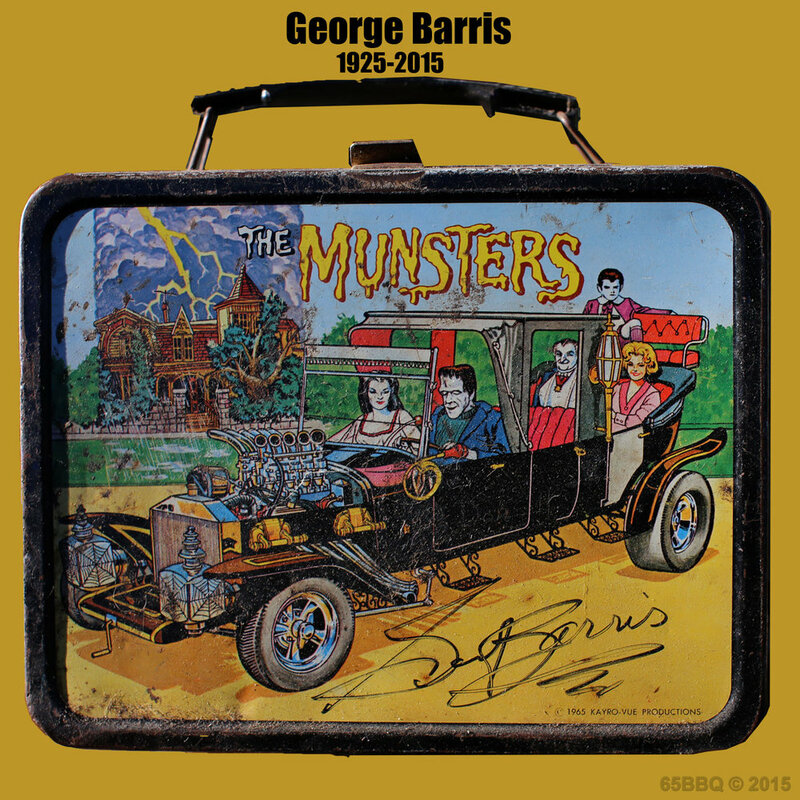 Picked up this lunch box at the Pomona Swap Meet, took it over to the GB shop, Mr Barris was sitting in his office, no one was around. I walked over, he asked if he could help me and we started to talk and finally I brought the lunch box into the conversation and asked if he would sign it. What a great afternoon, talking classics with an amazing automotive icon.